When my peers were out getting drunk and experimenting, I was plunged into being a grown up as I moved to the lakes with my boyfriend at the time. Playing housewife, rather than thinking have I got enough money to go out and get pissed, it was more like have we got enough money to buy furniture for our unfurnished flat or food. Like with lots of things in life, it felt right at the time and I wouldn’t be where I am today if I hadn’t moved to the lakes all those years ago. So that’s why “special brownies” went on the list. Maybe it’s a mid life crisis or just trying to relive my missed youth. 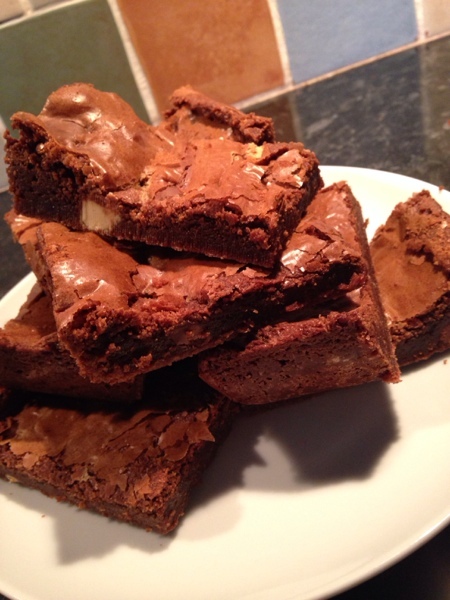 I hate smoking so making brownies was the only way I could experience it, plus I like cake! Drugs are not big or clever and having experienced first hand the devastation when someone falls into this, it is very hard to deal with. When a casual splif spirals into something more dangerous. Maybe it makes me irresponsible for trying it for myself but it’s a one off and probably the safest way to experience it. So with my acquired stash, set about making extra special brownies. The smell of it makes me heave. So I had read, it was best to let it cook a bit in the melted butter and chocolate before adding the other ingredients. So with this done it was into the oven. The smell was not as bad when it was baked. I am a bit of a control freak and was hesitant with my first bite. But it was soon scoffed and waited for it to kick in. Not much to report so I had another piece. Now it was kicking in, just a very mellow feeling like having anaesthetic, my body tingling and making me relax. Maybe in the Song which I can’t just remember is the phrase “feeling comfortably numb”. That kind of summed it up for me. I haven’t had a goodnights sleep like that in ages. I can understand why people with cancer etc use it as pain relief as it does give you a nice feeling. For me, it’s not something I’m in a hurry to repeat. Can tick it off my list and will just stick to the evils of alcohol instead. Gina. This is one of your best posts. Thanks for sharing your thoughts. Gina this post has hit a nerve (positive) with me as I had experiences with this topic when I was in my early 20’s.